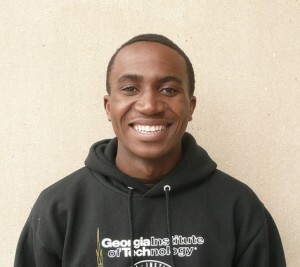 Christian is a third year Physics major on his way to obtain a PhD in Physics (hopefully in the field of Astrophysics). His ultimate goal is to become a Physics professor who will help young people from economically disadvantaged backgrounds to pursue careers in science and engineering. He also hopes to contribute to knowledge in the field. He has worked in the M.O.R.E. lab at Morehouse College where he designed and simulated dye-sensitized solar cells as well as fuel cells using Matlab Simulink software; and with Professor Burgasser at UCSD investigating the low mass binary system GJ 660.1AB, with​​ results presented at the 2014 SACNAS conference. He is very passionate about learning new concepts in physics. He is also a Rwandan Presidential scholar, a scholarship program that support Rwandan Students in different parts of the world. In his spare time, he plays soccer and guitar. He believes that every scientist is an artist. 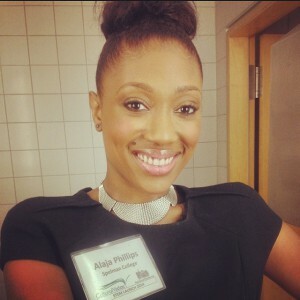 Alaja is a recent graduate of Spelman College. She currently has a B.S. in Physics with a concentration in Advanced Theory and Experiment. She previously conducted research in material science in the Graphene Laboratory at Georgia Institute of Technology and the high pressure physics laboratory at Lawrence Livermore. She has represented Spelman College at several conferences including the 2013 BEYA conference, 2014 NASEC conference, and the 2014 American Physics Teachers Association conference. Alaja has also served as a research assistant to Dr. Natarajan Ravi, the Physics Chair at Spelman College. She plans to attend graduate school for a PhD in Physics or Engineering. Alaja is the president of the Spelman college physics club, the secretary of the society of women engineers and a women in technology ambassador. She is also a member of Women In Engineering where she mentors a younger student at Salem Middle School who aspires to attend Spelman as a science major. Alaja was recently inducted in to the national society of leadership called Sigma Alpha Phi. She is passionate about encouraging those around her to be the best they can be and to show to compassion. She gives back to her community by tutoring students at Wings of Knowledge homeschool and lower level physics courses at Spelman College. Her ultimate career goal is to work for the Department of State in international high risk technology.